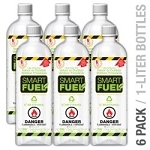 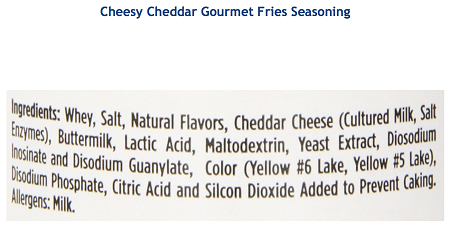 PLEASE USE THIS Product/Item # 364 for ALASKA, HAWAII and International Shipments to all foreign countries. 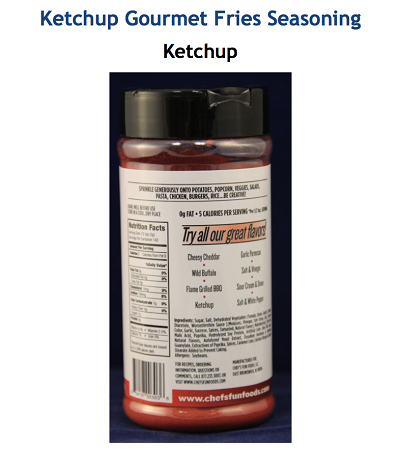 Email us for more information prior to your final purchase. 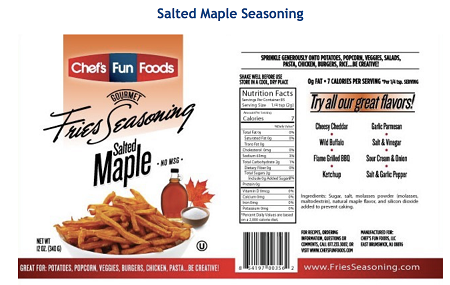 All import & customs duties, local government taxes & other fees, etc... in your country are outside of USA territory and of our responsibility and will be payable by you directly to the authorities upon their claims. 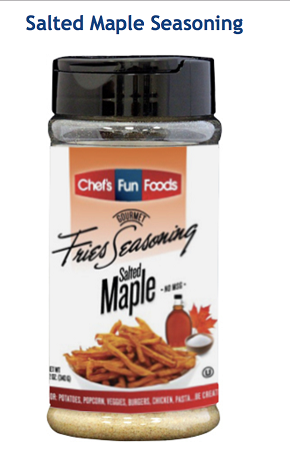 It’s like wrapping your fries in a blanket of maple and topping them with a pinch of sea salt. 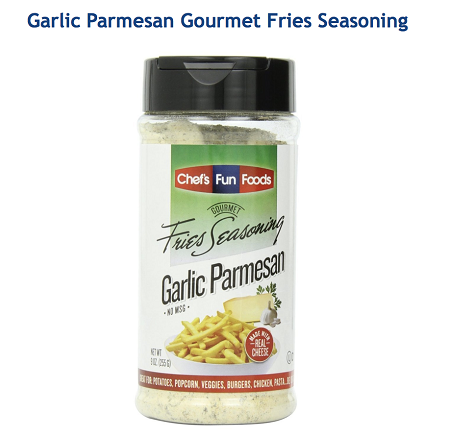 Words can’t describe this creation's incredible taste. 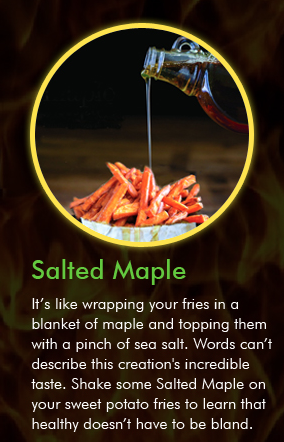 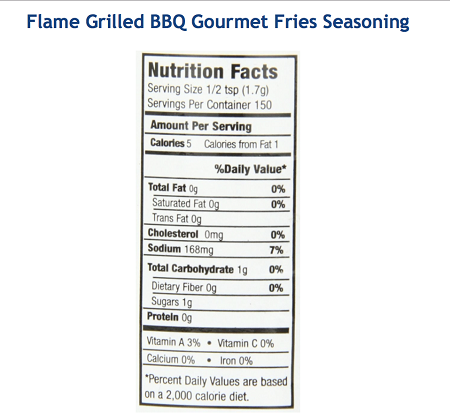 Shake some Salted Maple on your sweet potato fries to learn that healthy doesn’t have to be bland. 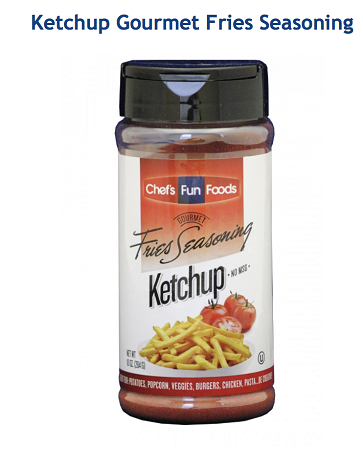 Try it on … Fries, Chips, Baked Potatoes, Popcorn, Veggies, Pasta, Rice, Chicken, Burgers, Soup, Salad and Eggs or just be creative. 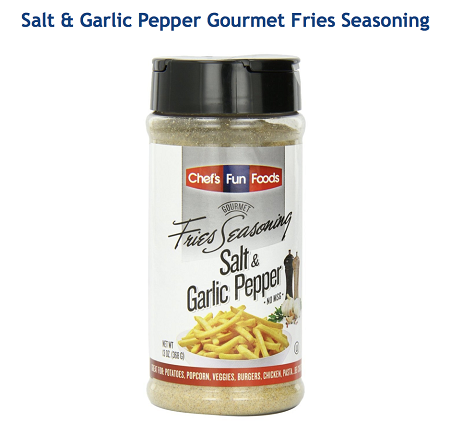 Turn any BLAH meal into a WOW meal ! 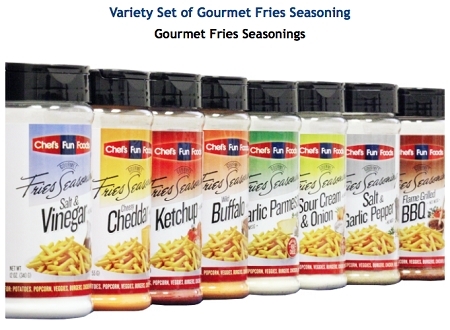 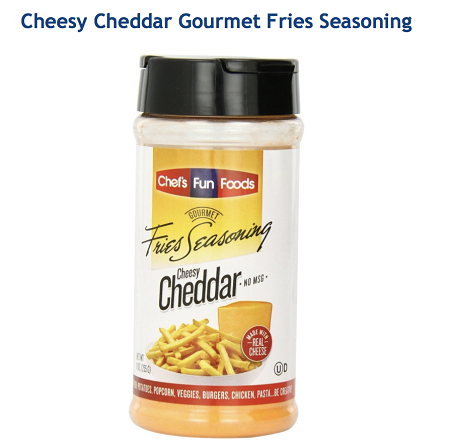 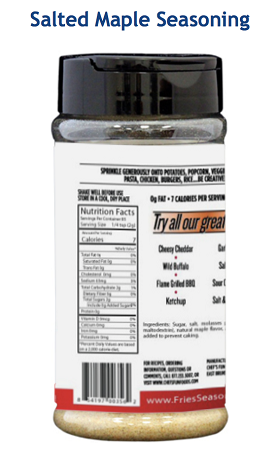 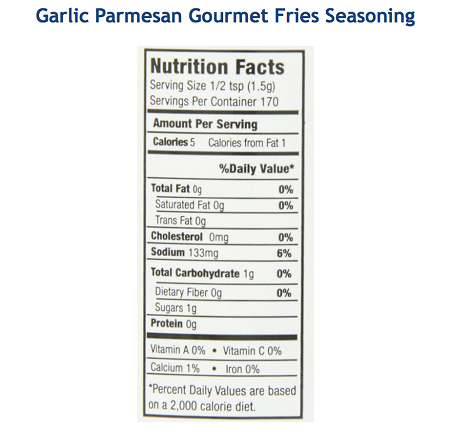 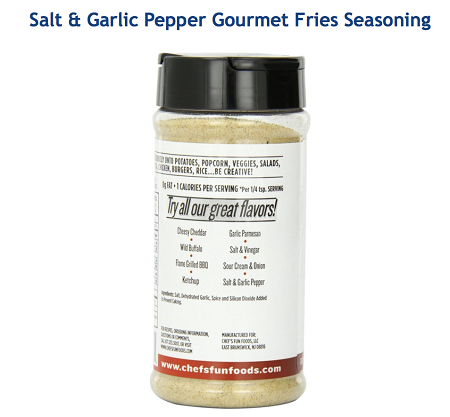 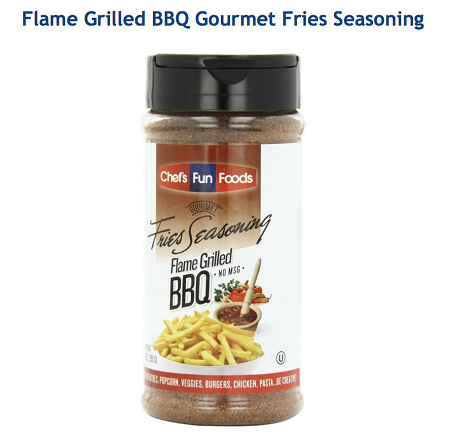 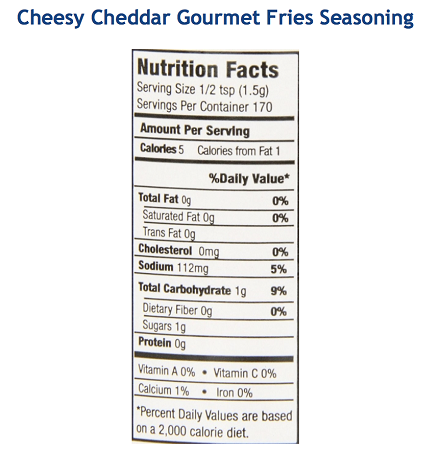 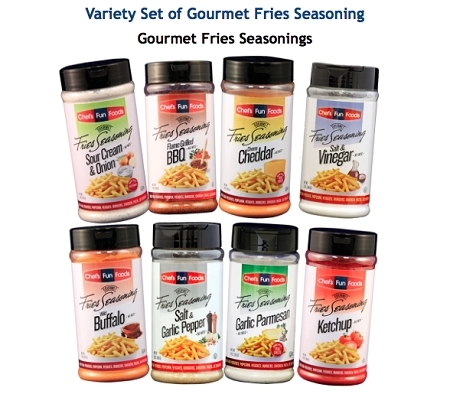 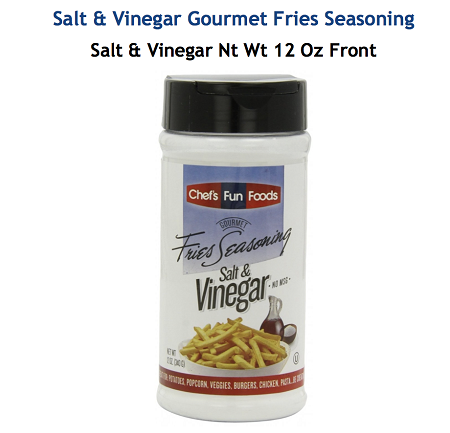 Need a stocking stuffer or something else to add to a treats basket for any holiday gift, fund raiser, etc... - add the Gourmet Fries Seasoning !